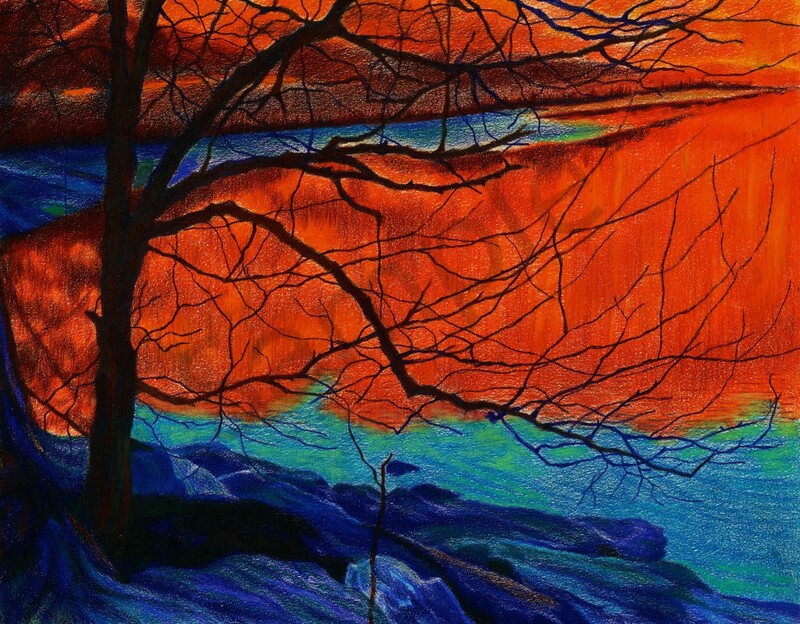 From a photo I took of Inwood Park on a red morning sky day in December. Done in 4 colored pencils and black, this was taken fron a photo at 8am on a Saturday morning. The red sky poured over Inwood Park in Upper Manhattan and colored everything in beautiful warm reds and oranges.